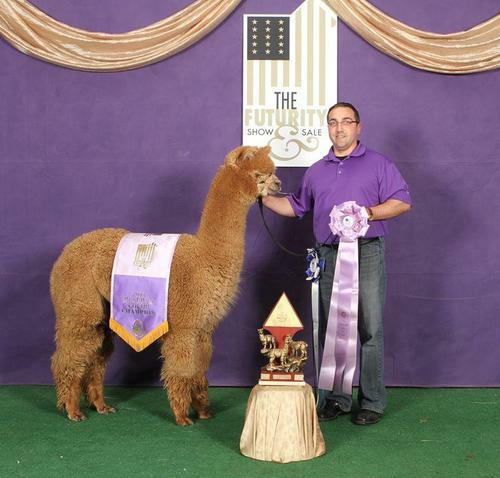 She's ready to breed this fall ! 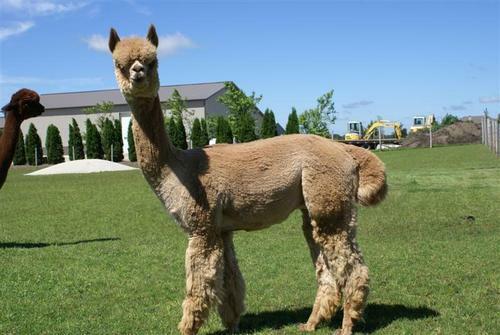 Capree is a very big boned female that has very dense, yet fine fleece, even at 4 years old. She's the biggest female on our farm and will always be kept on our farm because of what she produces in her offspring. Destino can take you to the darkside. 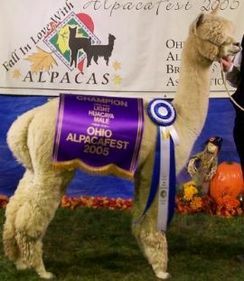 His first cria of 2012 is a TRUE BLACK female out of true black dam! This is exactly what Keva Ranch was looking for and it makes them even more excited about his high potential for producing every color BUT specifically GREY, GREY, GREY! His sire Michelangelo has made every color, so I'm sure that Destino will be able to make color even more consistantly!!!! He not only has the look, but also the personality. 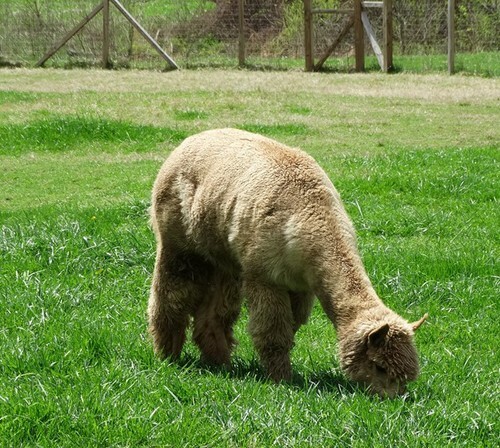 The most loving alpaca on our farm, which I feel is also important when making breeding decisions. Don't let his personality fool you, he's all male and definitely stands out in the pasture. 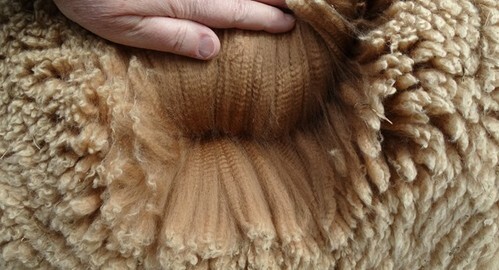 Destino's uniformity is simply what all of us should be breeding for in our programs. 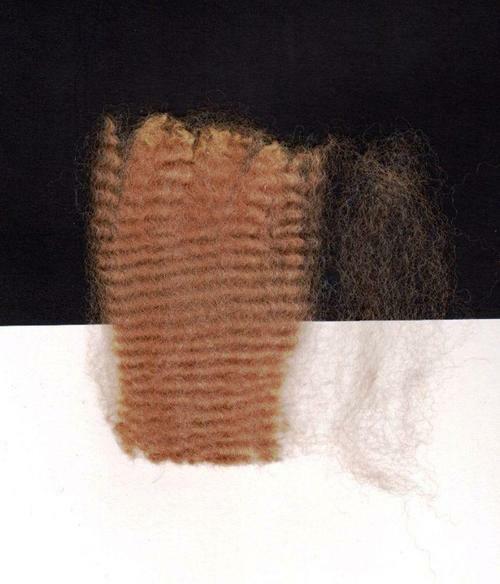 This means that his fleece is very consistant from the skin to the tip throughout his blanket in the categories of micron, staple legth, crimp style, crimps per inch, brightness, and color. Did I mention his density is superior as well, and his staple length is over 5.5 inches. 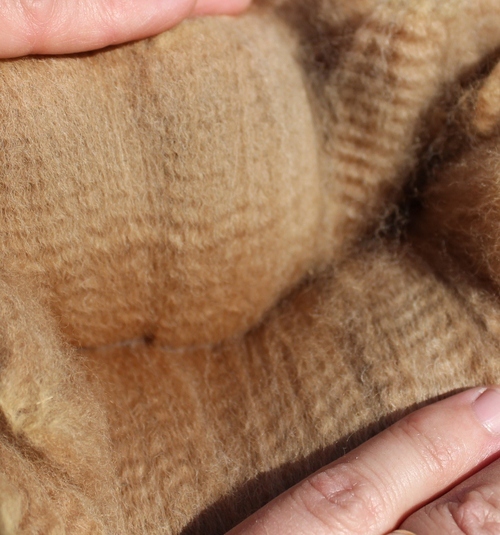 If you need some fleece production, look no further, because he's a fleece machine!!! With rock solid genetics and producers of multiple champions on both sides of his pedigree, Destino is bound to make an impact on any breeding program. Let Destino's first CHAMPION be YOURS! 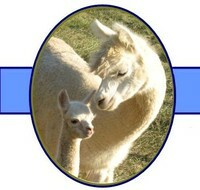 Proudly Co-Owned with Keva Ranch Alpacas !